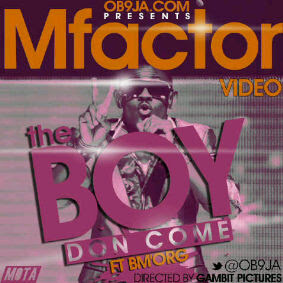 The 2012 Peak Talent Champion and Nationwide Talent champion, Mfactor (@mfactor_baby) presents the music video THE BOY DON COME Directed by Gambit Pictures. THE BOY DON COME is one heck of a captivating video, featuring Bm'Org to this amazing tune. Feel the groove from start to finish as the mode will light up any atmosphere where played. Enjoy!